‘Tis the season, again. 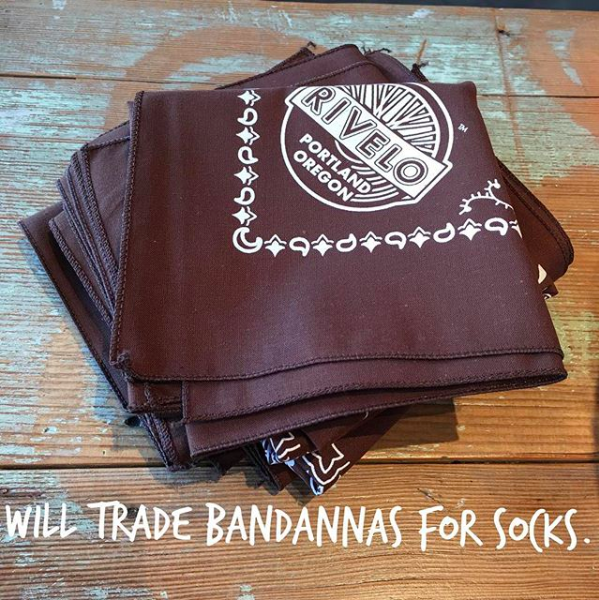 Bring us new or nearly new socks, and we will give you one of our current all-cotton/USA-made bandannas in exchange. During the fall & winter, we make regular runs to the local homeless shelter to deliver socks, gloves, scarves, knitwear, and ANY articles of clothing that might help keep people warm during the coldest, wettest months in Portland, Oregon.